Production in the PETROF factory and its logistics have passed through many changes compared to earlier methods.Despite the effort of incorporating modern technology, the company insists on making instruments by hand, which guarantees the instruments have high tone quality. The timeless style of the instruments with a brilliantly clear and rich sound and widen and colourful range of the musical voice is the result of the perfect treatment of each detail. Unlike a lot of other manufacturers of key instruments, the PETROF plant produces a substantial part of raw products and instrument parts itself. The company workshops produce resonance boards, keyboards, hammers, strings, metal parts and a number of other parts. The only exception being cast iron frameworks and piano bodies, which are purchased. At the customer’s request it is possible to also use other parts from specialized world manufacturers. In some cases there is direct cooperation between them and PETROF. An example is the very successful close cooperation with the famous RENNER company. Besides original Renner actions and hammers, PETROF instruments also use the RENNER-PETROF actions. The basic material for building grand pianos and upright pianos is carefully selected wood. It is the material for the heart of the instrument – the resonance board and for individually constructed elements and parts. It also has significant influence on the beauty of the instrument, and therefore extraordinary attention is paid to its selection. The resonance board with a large vibrating surface and high internal strain is made exclusively from narrow ringed, strictly selected, radially cut resonance spruce. 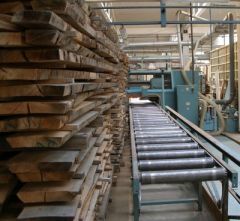 The high-quality European beech is used in the production of the bridges. The high-quality spruce and beech wood is further used for building the skeletons, featuring effective solution and generally rigid and stabile construction in our instruments. The cast iron frameworks of the instruments are of a modern design and can reliably resist the pull of the strings which are kept under tension for the duration of their long life by their connection with the skeleton. They are drilled at PC operated drilling machines. The production quality, modern equipment and the expertise of the company employees are also used by foreign grand piano and upright piano manufacturers, for whom the company produces (according to the foreign company’s construction designs) complete coated acoustic elements or even finished instruments of other brands. The demands for similar production continue to grow. A significant part of the PETROF Piano factory is the keyboard department. Keyboards are made on highly efficient and precise automatic computer controlled machines. Extraordinary attention is paid to the surface treatment of all pianos during production.beautiful, and therefore the demand on surface treatment is high. Polyurethane paints are used for satin surfaces and for highly polished surfaces, polyester paints are applied. 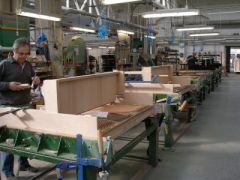 The production of upright pianos and grand pianos ends with output control and preparation for dispatch. In the dispatch department, the instruments are packed so that they cannot be damaged mechanically or by climatic changes during transportation.